One of the teachers who reads my FB page asked if I would show what the the inside of the Common Core Documentation Book looks like. For demonstration purposes, I am going to use my daughter’s math assignment from last year. The packet has labels that you can use for the front cover. If labels are not in your budget, you can print the page on paper (color or white). If your grade level is departmentalized, you can print the labels on different colors to make it easier for organizational purposes. I like to add a little fun to the label, so I cut it out with scissors that have a decorative edge. Put students in alphabetical order and assign students a number. Number labels come with the packet. You can print the labels on copier paper if you don’t have labels. Whether you use labels or copier paper, I recommend putting a piece of tape over the label. When students turn in their books, have a helper put the books in number order. You can now quickly see who has turned in their book and who needs a reminder. 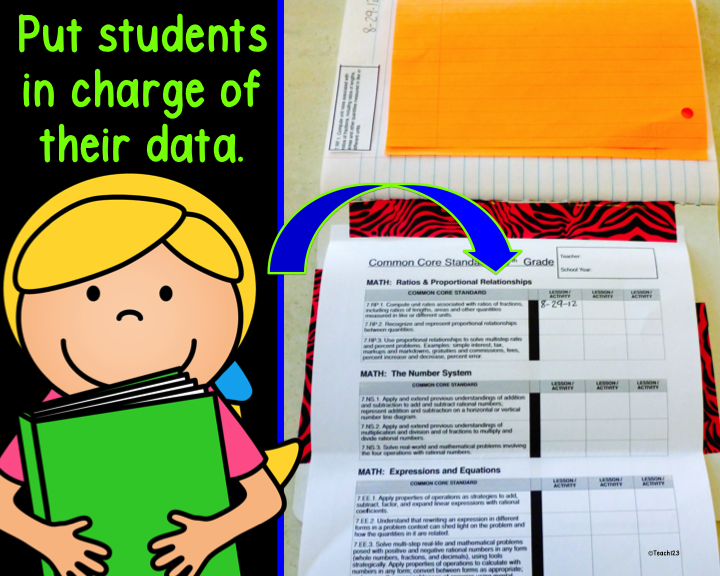 When I originally made the chart that list the standards, I thought teachers would keep it in their lesson plan binders to document the dates the standards were taught. If you teach older students, they could have their own copy of the chart to put in their book. It would be a great document to use at IEP meetings. 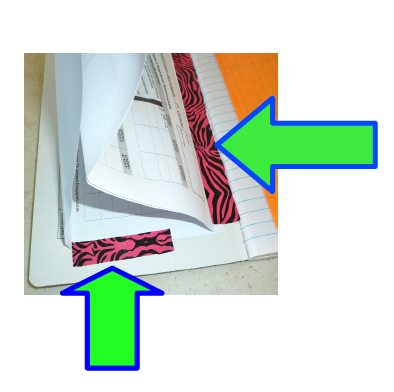 If you choose to do this, staple it twice at the top, fold in half, and tape the top half of the last page to the inside cover of the composition book. I used pretty tape so you could see it better in the picture. You might want to get a parent volunteer to come in a do this part for you. Standards can be documented different ways. 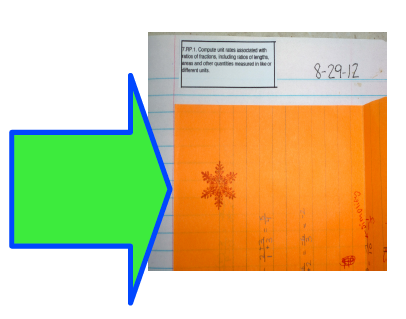 *Classwork can be folded in half (line top half with pink margin) and glued in the book. *Take pictures of experiments or other hands-on activities. Make copies of the pictures on the copier, give the students a copy of the picture, and have them write about the activity. 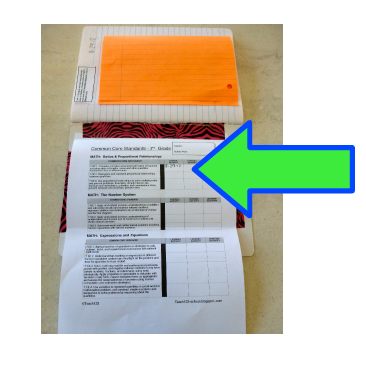 Add the label or cut out and glue the label of the standard on the page and write the date.